Train Accident: Common Causes, Statistics and Prevention | The Law Offices of Flint & Soyars, P.C. Trains still play a very large part in our transportation industry in the United States. Even though passenger trains are now limited to just a few companies, there are over 600 different train companies that move freight through this country each day. The U.S. has hundreds of thousands of miles of railroad tracks moving through every state. Overall, there are nearly 210,000 railroad crossings in the U.S., and the railroad industry has stated that there may even be closer to 300,000 due to changes in roads and bridges that have occurred since the last count was made. Trains run 24/7 and at any given time there could be 1,000 trains in full operation in the United States. Sadly, with this amount of movement on the railways everyday there are also many accidents that occur. Data from 2014, the last time such data was released, shows that in that year there were 11,900 accidents that occurred involving a train and that 810 fatalities were a result. The number of people injured, serious or minor, was not provided in the report. Most accidents occur when a car tries to “beat the train” and crosses in front of the oncoming vehicle. This is one of the most dangerous things you can ever do. A train moving at 55 mph with just a minimum of 10 cars attached can take up to a full mile to completely stop. A train with more cars can take even longer. When a train accident occurs, a complete investigation of the event must be conducted. There are specific laws and regulations that apply specifically to the railroad industry and these investigations must be conducted so that fault can be determined. 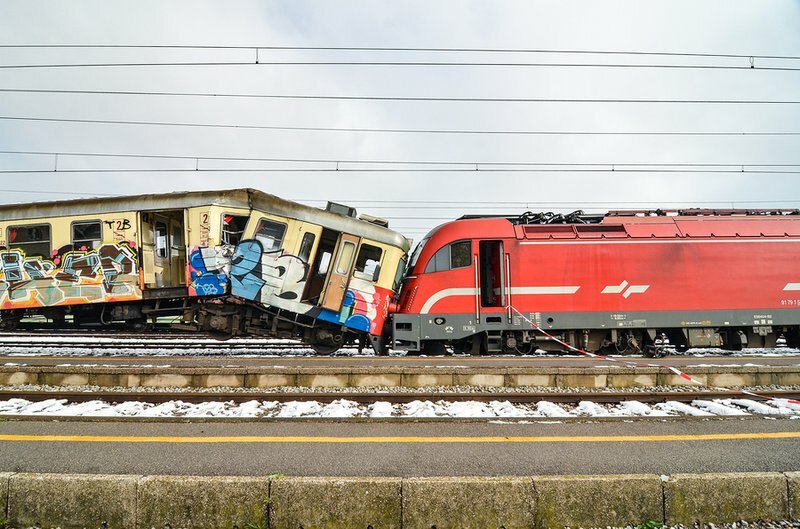 In large scale accidents involving trains, such as a commuter train event or a derailment of any type, federal investigators will be brought in to conduct the investigation. The Federal Railroad Administration (FRA) was granted authority to manage the railways under the Department of Transportation Act of 1966. This Act specifies that the FRA must oversee and promote all forms of railway safety. The FRA promotes safety in many ways, including their latest addition of adding a “Black Box” to all locomotives so that all the actions of the train are recorded so that the data would be available in the event of an accident. Despite ongoing programs to promote safety, there are still ways that the railroad can be responsible for any accidents that occur. If responsible, these railroads have an obligation to pay for the medical expenses, damages, and financial losses incurred by the injury victim(s). To protect your rights as a victim of an accident with a train, you should speak with Shreveport personal injury lawyers about the accident and your injuries. Your attorney will review the information and help you build a case for compensation. It would be foolish to think that all accidents involving trains could be prevented. However, many of the accidents which occur happen at railway crossings or near railroad stations and involve a single individual or a single vehicle. Pedestrians and drivers must realize that they have an obligation to act in a safe manner when around trains, just like the trains must operate safely around the public. It should also be known that playing pranks and putting things on railroad rails to see if they explode, get crushed, or for whatever other reason is a safety hazard and could cost lives. Items on the rails could cause a train to derail or other mechanical damage to the train that could prevent it from working correctly or stopping. If you have been in an accident involving a train, you need Shreveport personal injury lawyers handling your case that understand federal laws and regulations regarding the railroad industry. Events concerning a railroad will have both state and federal laws applied to the case and you need to have an attorney who is capable to handle this type of case. Many railroads have legal departments on stand-by just for these types of events. While their intentions may be good when they act quickly to make a settlement, they may not be in the best interest of the injured party. It takes time to really understand the severity of any injury or the impact it has on the life of the injury victim. It also takes time to fully understand the losses incurred from the accident. Your attorney will work with your medical care provider to understand the nature of your injuries and what it will really take to experience a full recovery. They will also work closely with your care providers to determine what needs to be done if a full recovery cannot be made. Your attorney will also investigate any and all financial losses you have had as a result of the accident. This may include everything from a damaged vehicle to loss of employer contributions to your retirement plan. Your attorney will make sure that every issue is reviewed and that a compensation package is created with your best interest in mind.